Our servers are running BitNinja which is a server security system. BitNinja is a security feature which detects IP addresses with suspicious behavior, for example, accessing the same webpage in short intervals, filling in incorrect password multiple times, etc. Such behavior signals that user using this IP address may be attacking the website. 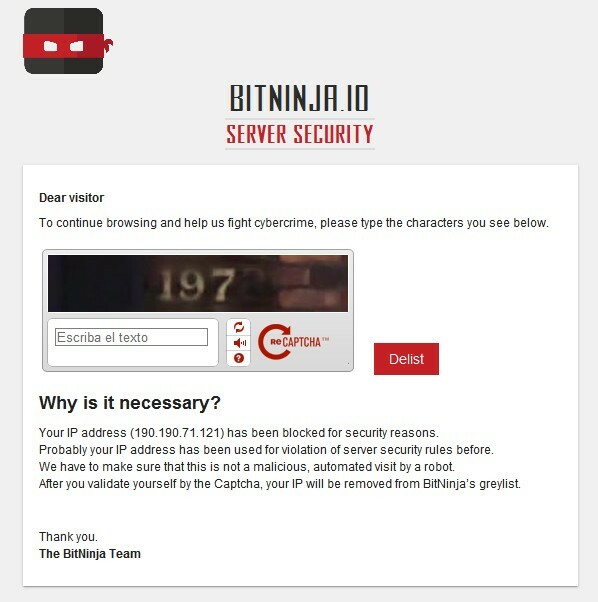 Bitninja then puts the IP address to a greylist and the visitor needs to verify himself/herself by filling in a Captcha.